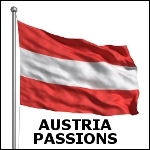 Austrian Single I'm living in Vienna and I think, Austria is one of the most beautiful countries in the world (at least that I have seen and visited). So I'm looking for Mrs. Right right here. I'm quite shy when it comes to talking to women, but that clears after I get to know them better. That's why, I am registered here, so maybe I find the love of my life. Does sherlockdata83 belong in this group?